An empire in turmoil. A family divided. A lifetime of secrets. Aamena Hinnorwen had never really given much thought to how she was brought up. When your father is Clan leader and a talented politician, his role and connections naturally lead your family in certain directions. You just go with the flow, like any young elf with influential parents. Yet once she was old enough to realise how her own life fitted into the jigsaw of her parents' plans, Aamena knew that she wasn't destined to be a politician's wife. Everything about that lifestyle repelled her. She was trapped by social convention, growing ever nearer to the day when she would have to marry the husband her parents had selected for her. Aamena was desperate. There was only one way out - with consequences that would last a lifetime. But is a lifetime of consequences better than a soulless existence in a role and a marriage she cannot face? 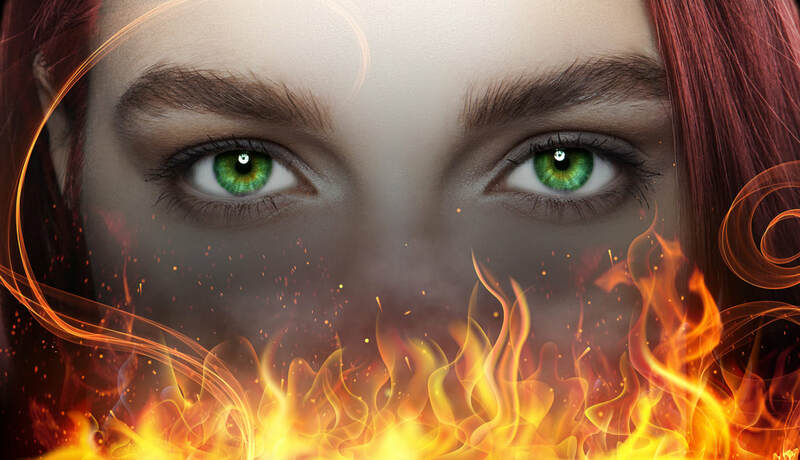 ​The Fire-Eyes Chronicles follows Aamena as she struggles to reconcile herself to the life her parents have mapped out for her. Will she stay, the obedient, dutiful daughter, or will she choose another path?